Have ideas about the way your custom Challenge Coins should look? Our design staff is enormously creative and pros at turning your ideas into eye-catching lapel pins. Send us any ideas you may have and one of our award winning designers will get to work on a pin that will not only look great but also leave a lasting impression. 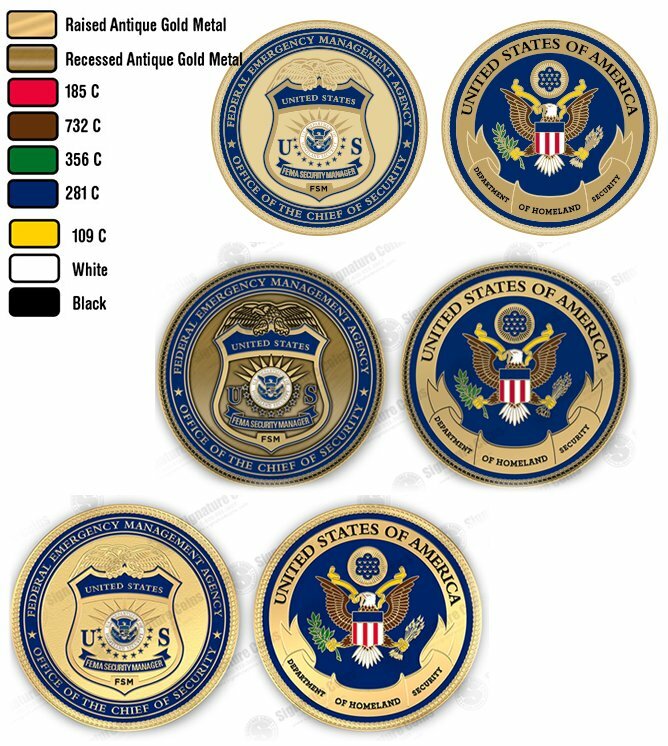 To best prepare the artwork for your Challenge Coin designs. Whether you send your exact logo, design or need us to create a design from scratch, our trained professionals are ready to help with the Challenge Coin design process. Once you have sent your logo, design, thoughts or ideas we will send this information direct to our graphics department and within 24 hours or less we will send back a full color digital proof for your review. Either way Signature Coins is your one stop, full service lapel pin provider. We are here to help you from conception to completion.